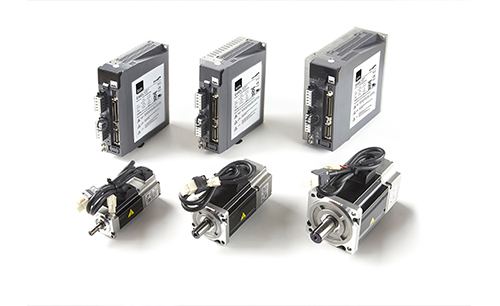 A single complete Drives & Motors solution for cost-sensitive applications. This is the essence of ESA Servo Package, the new drive-motor bundle designed for packaging, positioning table control, delta robot, conveyor belts and automation applications in general. Consisting of Esaware Drive Low Power drive and Esaware Motors, it offers excellent performance at a unique price. As mentioned, ESA Servo Package is the result of the integration of two cutting-edge technologies: Esaware Drive Low Power (EWDL) drive and Esaware Motors (EWML). This package is based on the EtherCAT fieldbus, which offers industrial Ethernet advantages at lower prices compared to classic buses. In fact, the ESA EWDM + EWML solution is designed for cost-sensitive applications of decentralized motion control, in order to guarantee an excellent price/performance ratio. However, cost-effectiveness is not the only advantage. EtherCAT stands out for its versatility and ease of use. Available in three different sizes (100, 400 and 750 W, nominal power), Servo Package boasts a rapid sampling algorithm, advanced closed-loop control for speed, torque and position. In addition, it includes specific filters for correct system setting, vibration reduction, Safe Torque Off SIL2 and other advanced features. Finally, thanks to the ESA Servo Suite guided configurator, it is possible to optimize inertia detection for accuracy, quickly set control parameters and reduce commissioning time. In conclusion, ESA Servo Package EWDM + EWML provides great performances at sustainable costs, with fast response time, precision and efficiency.